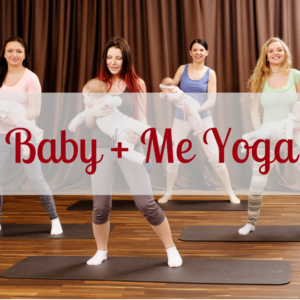 Baby and Me Yoga is a great way to move and connect with your babies. Babies love to observe their parents and learn by watching you. The stretches and movements within this class will help target common areas of stress for the new mom such as neck, shoulders and back. We will learn special movements and poses for baby that may help with digestion and improve sleep. I also show some baby massage techniques you can do at home. New to yoga? No problem! This class is very laid back and no experience is necessary. This is not your classic yoga class. Moms are encouraged to feed their baby or walk around the room with their baby if necessary. 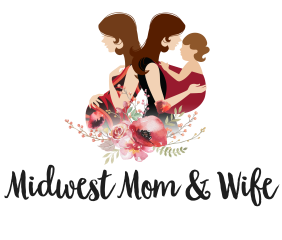 This is the perfect opportunity for you to get out, meet other moms and get in some movement. This class is perfect for newborns to crawlers. New moms can join us as early as 2 weeks postpartum. If you have questions about this class, feel free to contact me. The Family Tree Yoga – Tuesday’s @ 4:30 p.m. The next series of Baby + Me Yoga at The Family Tree Yoga will begin on Tuesday, November 13. I will be co-leading this class with Maggie Matijevich. Classes will be 4:30 to 5:15 p.m. perfect for working parents. $100 for 6-week series or $20 drop-in class. Sign-up for the entire series today.